In celebration of the 73rd earthday (b. January 1, 1946) of Reggae legend Albert Griffith, founder of the roots reggae group the Gladiators who retired from recording and touring in 2005, we bring to mind a compilation set with recordings for Coxsone Dodd at Studio One, featuring some of the group’s biggest hits from the early 1970s. 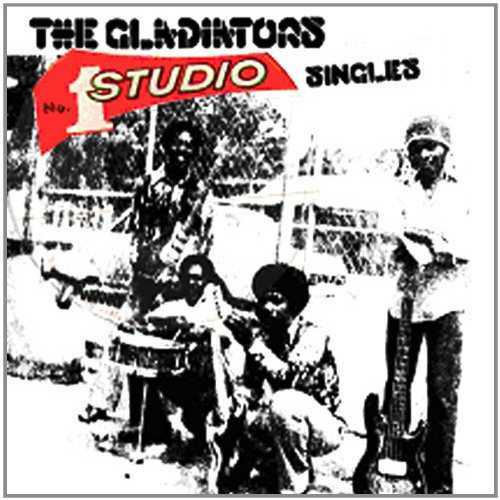 This Gladiators albums compiled by Heartbeat Records – according to the record label now reissued in an authorized edition, after it first appeared as a French bootleg on Sankofa/Blackstar – collects some of the rarest sides they recorded at Studio One with the legendary Jamaican foundation producer, the late Clement ‘Coxsone’ Dodd, together with some on their Studio One albums and compilations collected and better known tunes, but these are represented with their seldom heard version sides, in fact only their first hit “Hello Carol” is lacking at first inspection. The Gladiators have been masters of the reggae arena since 1965. 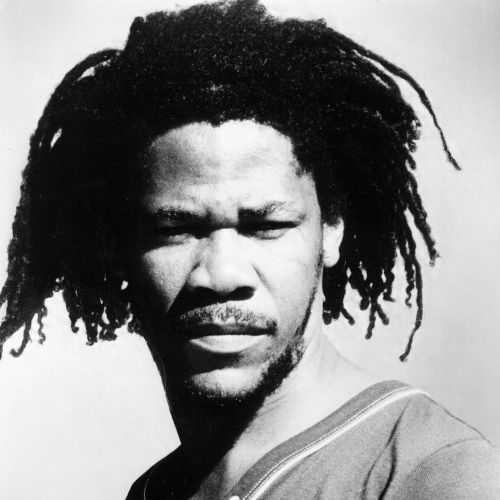 Albert Griffiths, known for his work at the legendary Studio One with artists like Ethiopians, Burning Spear, Mighty Diamonds and John Holt, led the group to many hits including “Freedom Train” and “Rock A Man Soul”, both cut for Lloyd Daley, and “The Race” for Randy’s. However, across the first half of the 1970s, it was Studio One that released the bulk of the trio’s recordings. Classic followed classic, as the trio unleashed a stream of roots masterpieces. “Roots Natty”, “Bongo Red”, “Jah Jah Go Before Us”, and “Mr. Baldwin” were all huge hits in Jamaica. Like the Wailers, the Gladiators vocal abilities are matched by their musical talent, making them one of the rare Jamaican groups that actually are a band in the true sense of the word. Thus, while every vocal group has its own unique sound, the Gladiators created a distinct style, one that shone forth regardless of producer. Kicking off with their 1969 ‘gals tune’ “Fling It Gimme (Anywhere)” followed by the 1972 ‘Nyahbinhgi’ take on Eric Donaldson’s one year older “Cherry Oh Baby”, “Sonia” and its version “Solas”, it’s clear right from the start this album is going to be one big treat. “Dub Ina Babylon” from 1972 is a prime example of early drum and bass style Studio One dub, showcasing the musical abilities of the Gladiators as masters of their instruments followed by the excellent “A Prayer To Thee” and its corresponding “Version Of Prayer” from the same year with its brilliant Clinton Fearon vocal and vocal harmonies on the former and snatches of them on the latter. The derogatory “Boy In Long Pants” is a brilliant tune of which the alternate partly vocal partly instrumental “Part Two” is included as well. “Bongo Red” is one of the seminal and more often heard recordings of the Gladiators at Studio One – later recut even better as “Mix Up” for Tony Robinson in 1976, here paired with its catchy “Bongo Version”. “Beautiful Locks” is the Gladiators/Coxsone Dodd answer version to Junior Byles’ seminal Lee Perry produced “Curly Locks” and rivals it for sheer musical and vocal power. “Sufferation Version” is the instrumental version of the virtually unknown Noel Campbell’s “Sufferation”, Noel’s only recording for Coxsone Dodd (of only three singles credited to him as far as I Know), followed by the brilliant “Roots Natty” – later re-recorded as “Dreadlocks The Time Is Now” and “Rearrange”, the Gladiators’ take on the Cables’ “Baby Why”. The upful sounding yet dread warning “Mister Baldwin” and its version “M. Baldwin Part Two” are probably much better known as Culture’s recording from the same year “Baldhead Bridge” but sounding equally strong. “Big Boo Boo Dey” is a great 1977 tune about a girl whose eyes begin to shine (only) when she sees money, followed by its impressive “Version”. “Pretending” is the first of the four tunes from three 12″s that close this absolutely intriguing collection, a brilliant song – telling a girl I don’t love you anymore – released in 1986, followed by the equally magnificent “Don’t Fool The Young Girls”, with its ’12” Version’, the Gladiators’ answer version to Sophia George’s international chart topping “Girlie Girlie”. “Happy Man aka Portrait Of A Believer” in its 12″ incarnation, with an overload of then fashionable ‘disco-effects’ in the mix, is a masterpiece concluding a masterpiece, as this is a collection of Studio One Gladiators songs and instrumental versions you cannot afford to miss out on. Conclusion A masterpiece you cannot afford to miss out on!